Finland is a Nordic country who has Santa Claus living at the Arctic Circle, most of their 5.5 million people living in the south and over 180,000 lakes in between. 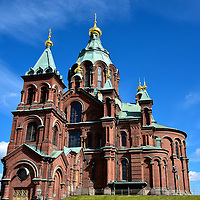 After emerging from Swedish and then Russian rule in 1917, this democratic republic is enjoying growing prosperity while maintaining its welcoming charm. 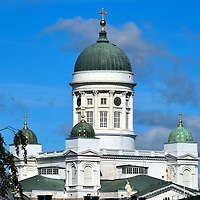 Helsinki is the capital city of Finland and the heart of the country’s economy, politics and culture. Its gorgeous architecture reflects its historical past while its people continue to build a promising future. Helsinki is a joy to explore on foot. It offers the tourist a delightful combination of museums, theaters and music plus bustling markets and quiet shorelines. Even if you visit just for the day, you will soon sense why Helsinki has been ranked as one of the most livable cities in the world.